An appeal case from the High Court has clarified the position post-Hussain v Amin Charters in respect of road traffic insurers putting claimants to proof due to concerns about fraud. In Afzal Ahmed v Ivan Lalik & Co-operative Insurance  EWHC 651 (QB), Cranston J heard an application for permission to appeal against a Recorder sitting in Derby who dismissed the claimant’s claim. 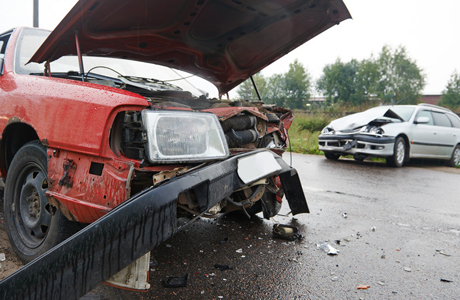 The claimant asserted that he was involved in a road traffic accident. He was the driver, with 3 family members as passengers. Their vehicle was allegedly subject to a side impact from a vehicle driven by the first defendant. The second defendant was the road traffic insurer of the first defendant. The claimant was put to strict proof that the accident occurred as alleged. The defence set out matters which gave rise to an allegation of a suspected lack of good faith, and the facts upon which the second defendant would invite the court to draw negative inferences. The claimant gave evidence, but didn’t call any of his passengers. The Recorder dismissed any notion of a link between the claimant and the first defendant, but found that the claimant’s evidence was not satisfactory. The claimant’s claim was dismissed. The first ground of appeal (and the one on which I focus here) was the contents of the defence and, more particularly, the second defendant’s stance of putting the claimant to strict proof by intimating fraud without specifically pleading it. This argument was not successful for reasons which necessitate some brief historical context. “although the terms of the pleaded defence are not relevant to the issues that have been raised in this appeal, I am bound to register my concern with the way in which what in substance is an allegation of fraud was pleaded”. “If the second defendant considered that it had sufficient material to justify a plea that the claim was based on a collision which was a sham or fraud, it behoved it properly and in ample time before trial so to plead in clear and unequivocal terms and with proper particulars. Thereafter the burden of proof would of course have been on the second defendant to establish such a defence. In the event, as I see it, the claimant was faced with a hybrid, he in effect being required a trial to deal with an insinuation of fraud without any express allegation to that effect pleaded. Realistically, the trial judge dealt with the matter in the round, concluding that the claim was not fabricated or fraudulent and that the accident had not been staged. But this sort of pleading should not be sanctioned”. The implication of these remarks was potentially devastating to insurers – but, in reality, the lower courts refrained from a blanket striking-out of pleadings in which ‘concerns’ about the veracity of accidents were not pleaded as positively fraudulent. For my part, I have encountered a number of applications to strike out pleadings under this authority, and I have also encountered several applications on the day of trial to exclude evidence of the insurer’s concerns. However, in the overwhelming number of cases, judges have continued to consider cases in the round and allow insurers to express the features which pointed to a fraud – without using the ‘F’ word explicitly. This begs the question, therefore, why did the comments of Lord Dyson MR and Davies LJ not drive a spear through these types of pleadings? The starting point is 16.5 itself, which allows a defendant to deny, admit or require a claimant to prove an allegation. Putting a claimant to strict proof in respect of a road traffic accident – and any injury thereby resulting – is therefore permissible under the rules. But for a deeper analysis of how far an insurer can go to insinuate fraud (rather than boldly plead it), one must consider the case law. In Hussain v Sarkar  EWCA Civ 301, the Court of Appeal considered the correct approach when faced with an insurer which wished to amend its pleading shortly before trial in light of new evidence which provided a prima facie case. At issue was whether the pleading of fraud should have been done earlier in the case, rather than a weaker ‘putting to proof’ pleading. Their Lordships held that there were professional rules about the pleading of fraud allegations. A barrister was not to draft a pleadings containing a fraud allegation unless he had clear instructions to do so and had before him reasonably credible material that established a prima facie case of fraud pursuant to Medcalfe v Mardell  UKHL 27. The authorities cited above allow insurers the ability to put the claimant to proof and explain the features which cast doubt on his or her credibility. Under Medcalfe v Mardell, counsel for the insurers would be breaching professional standards if he or she pleaded fraud without a prima fascie case being made out. It would be contrary to public policy if insurers were forced to approach the scourge of road traffic fraud with such restrictive ‘plead fraud or settle’ options. “In this case the insurance company set out, in detail, the facts on which it would invite the court to draw adverse inferences. Fraud was not alleged, and the judge was clear, in rejecting the insurer’s suggestion of links between the claimant and first defendant, and that it was not good enough for the insurer merely to imply fraud without pleading and proving it. Rather, as it was entitled to, the insurer put the claimant’s credibility in issue and invited the court to draw adverse inference is through a range of pleaded facts. I can see no error in the way the Recorder approached the defence”. The judgment of Cranston J would seem to guard against any move by the lower courts to enforce the obiter from Hussain v Amin & Charters. However, whether his judgment in Ahmed v Lalik & Co-op will survive scrutiny in the Court of Appeal remains to be seen. It is plain that the Master of the Rolls has expressed his view on pleadings which provide a suggestion of fraud without a positive assertion, and it is likely that this issue will reach his Lordship in the not-too-distant future. Simon Clegg is an established civil-fraud practitioner with experience of cases involving contrived road-traffic collisions, low-velocity-impact (LVI) and fabricated employer’s liability claims. He acts on behalf of defendant insurers in cases where fraud is positively alleged as well as in suspicious cases where a robust defence is required. His involvement in such cases reaches from pre-issue advice to drafting pleadings, interim applications and appearance at trial. He regularly undertakes conferences in order to proof insured drivers, engineers and witnesses. Red Simon’s full profile.